Interspecific competition between native Eurasian red squirrels and alien grey squirrels: does resource partitioning occur? In heterogeneous environments, differential niche selection by two competing species will result in niche partitioning so that individuals of each species can maximise their fitness under different sets of environmental variables. Thus, niche partitioning is considered essential to allow co-existence of ecologically related species. 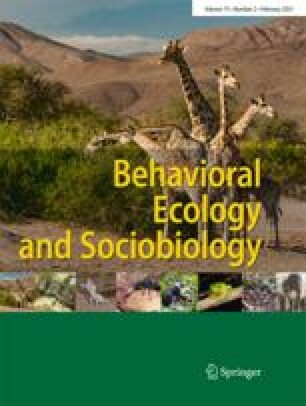 To assess whether niche partitioning was occurring between native red squirrels and alien grey squirrels living together in a 13-ha high-quality mixed deciduous woodland in north Italy, we investigated temporal and spatial patterns in their activity and foraging behaviour between 1996 and 1998. We used live trapping and radio-tracking to study numbers, distribution and behaviour of squirrels. Daily and seasonal temporal activity patterns, and activity on the ground and in the trees, were similar in the two species. However, grey squirrels were more tree specialists and had a narrower tree-species niche width than red squirrels, in particular making greater use of oak. Other studies of red and grey squirrels in allopatry show that the two species differ in the extent they utilise oak. Overall, tree-species niche overlap was about 70%. Grey squirrels had larger home ranges than red squirrels. Home ranges and core areas of both species were larger in males than females. Also, intraspecific home range and core-area overlap patterns were similar to those found in allopatric populations of these species. Overall, there was no evidence that the use of space of one species was affected by the other. Our results show that there was no niche partitioning of activity or foraging behaviour in time or space during the study. This suggests that, at moderate grey-squirrel densities, red squirrels are unable to avoid competition with grey squirrels, and that competition for food and/or space will occur when these resources become limiting.